i analyzed pmy's Phuket pic. (detective mode again ) the pic was a mirror image. so i reversed it. because she was wearing a bracelet on her left hand, seeing a Phuket pic posted on her IG. and look at a spoon and her hand holding a cup. it's natural a spoon is on the right side and she holds a cup with her right hand because she is a right handed person. 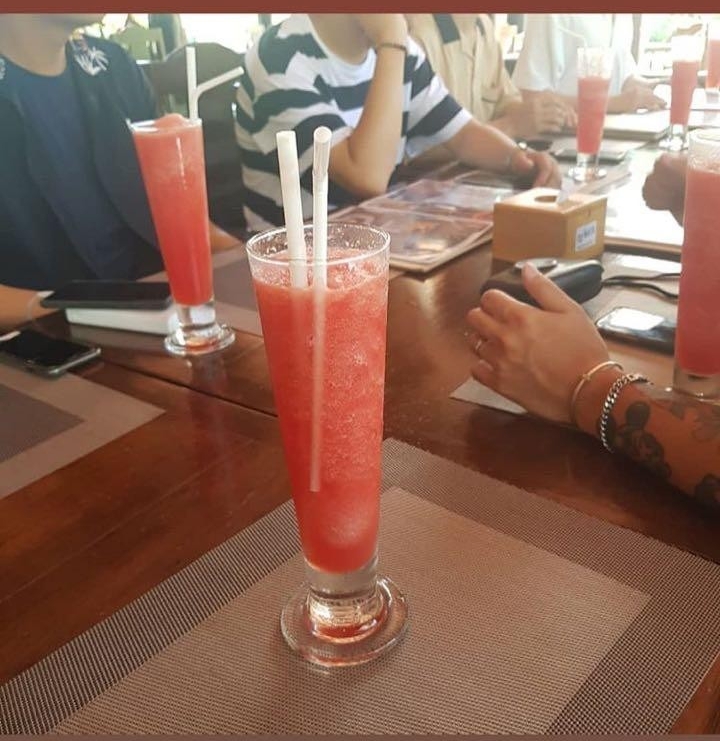 so..in the pic posted by psj stylist, one watermelon sticker is pmy and a man sitting in front of her(maybe the white shirt guy) took her pic...who is he? 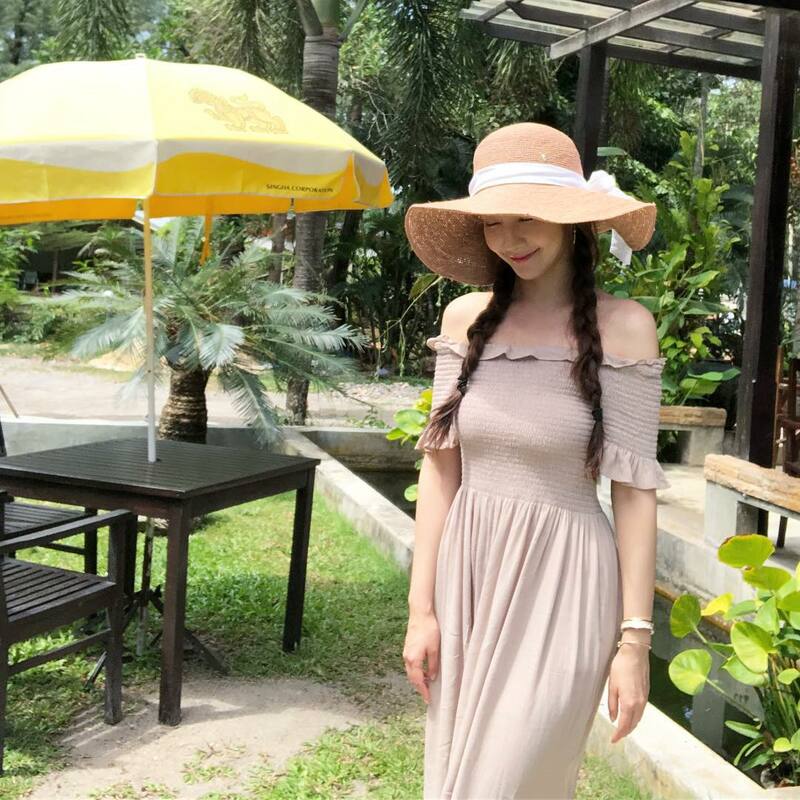 i analyzed pmy's Phuket pic. (detective mode again ) the pic was a mirror image. so i reversed it. because pmy always winks in her left eye. and look at a spoon and her hand holding a cup. it's natural a spoon is on the right side and she holds a cup with her right hand because she is a right handed person. OMG u right. amazing detective work! Now it made more sense cause when I first saw her solo short, the corner of the table looked weird to me. The situations are also different. In "Youn's Kitchen," they all live in the same house, cook together, do chores together, and work in the restaurant together, so it's kind of a family atmosphere, so there's kind of a sibling elationships among Yumi and PSJ. On SongSong, they went grocery shopping together in NYC around Valentines 2016 and that is around 2 weeks before airing of DOTS which was a pre- produced drama. Upon coming back to Seoul, the acted awkwardly during the presscon for DOTS, and when the NYC trip was finally discovered by media, they strongly denied. These celebrities sometimes think since they are Asians and they are abroad, they would not be recognized. But there are many Chinese all over the world. Usually it's the Chinese fans who are brave enough to take photos and upload it online. My opinion then is that ParkPark has not ventured out together outside of their houses and hotels except when they were with a group like in Phuket where it can be passed off as group outing. There are fan delulus that PSJ and PMY went out very early morning in London in August and it was PMY who was the photographer of PSJ Cinema IG post. But no solid proof from fans for these delulus. jeeeezes! my heart! how on earth can someone look cute and hot all at the same time! lol... indeed goals! Thanks dear friend, but i dont know i wish in coming days we will have some great news, bc i dont like just guessing anyway this ship is really hard bc there is no sign or hints of ppc and they are doing their own job that im happy for them and wish them the best and at the same time is a uniqe ship. I hope God makes my friends heart sooo happy in this ship. 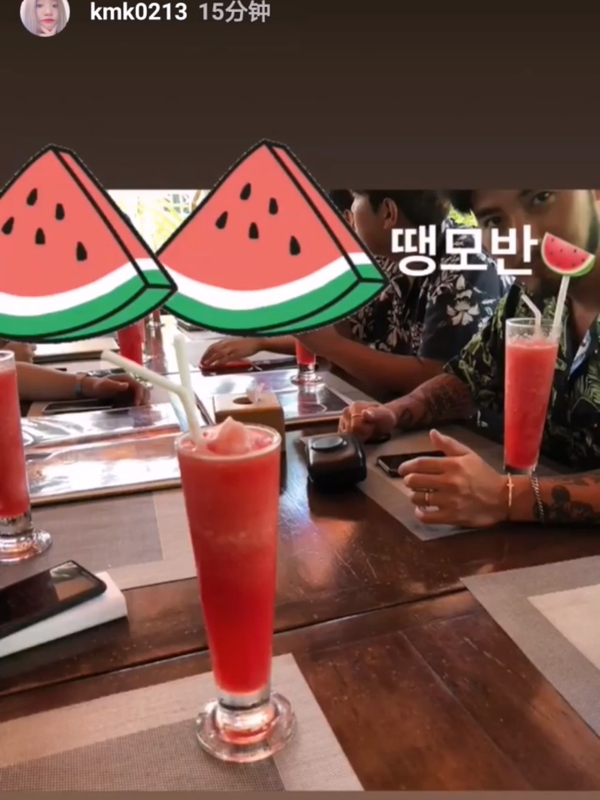 @twoparkcouple im quite confused.. it seems like there is another table next to her chair.. it supposed be another chair not table if she really sits at the edge of the long table.. the pic looks like as if she sat on a really small corner table.. what do u think? Isn't that the arm chair? There is color on his hair so its probably Australia. The jar at the back looks like Thailand though.